I’ve always thought of pocket-sized notebooks, especially Field Notes, as a utility product. They’re meant to be carried around to jot down small notes or ideas, and they are durable enough to take a bit of abuse. But now, with their 34th Quarterly Edition, Field Notes has formally made a Utility themed notebook. 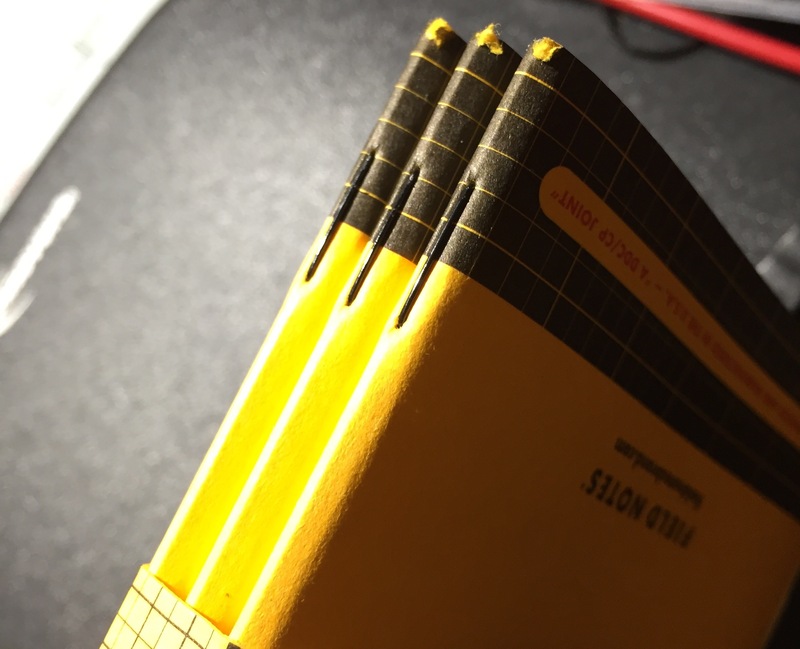 It has a black and safety-yellow color scheme, extra-thick cover stock, and even a pop-out ruler to make it just a little bit more useful. With this Utility edition, I was especially happy to see that two options available for the ruling of the inner paper: engineer graph and ledger. Graph is my go-to ruling and a pretty standard options with Field Notes, and the engineer graph essentially just adds fatter lines at intervals. The ledger ruling is used less often, but it’s a favorite of mine. It’s a ruling that is meant for bookkeepers but works really well for anybody who makes a lot of lists. 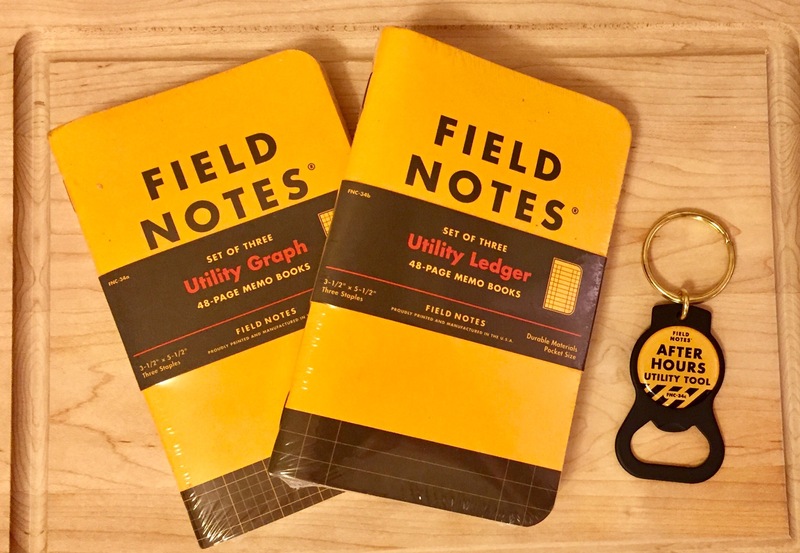 Overall, it’s bright, durable, and a great edition, but Field Notes did have a couple of quality problems along the way. First, there was some complaints online that the corners of these notebooks were arriving frayed. My notebooks definitely had this issue, but it was to a minor degree. Some other people’s notebooks were a little worse off, but I can’t say I’m bothered by it. My notebooks tend to get abused anyway, so I consider this to be – at worst – a quality hiccup. 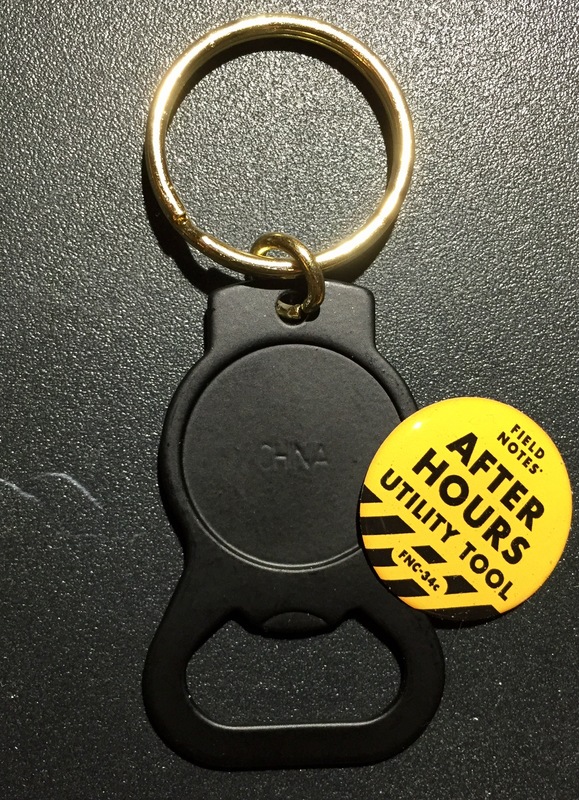 Second, the “After Hours Utility Tool” – a key chain/bottle-opener that was given to Field Notes subscribers – is just cheaply made. The front logo decal popped off after some light use, revealing a big “CHINA” inscription. That’s not a good look for a company that prides itself on manufacturing in the U.S.A. Beyond even that, it’s still a pretty crummy bottle opener. However, it’s just a little extra goody, so I’m certainly not overly upset about it. In fact, I’m more than willing to put these issues aside. I like these notebooks. The Utility theme is neat, the books are extra-durable (with 80# cover stock and 70# inner paper), and I love the ledger ruling. I tend to give a lot of my Field Notes notebooks away, but I’m definitely going to make sure I have a couple of these saved for myself. The only other Field Notes I’ve used with a ledger ruling was the Ambition Edition. Those, unfortunately, have become pretty difficult to find. Concerning the pop-out ruler, it’s one of those “oh – cool!” features that quickly turned into a “but why?” for me. But I never use the ruler that’s usually printed in the back of Field Notes notebooks. Does anybody? Check out more Utility Field Notes reviews at The Well Appointed Desk, Fountain Pen Follies, and Office Supply Geek. digging the blog! I used to work at a couple of hardware stores and would use the ruler in the back of Field Notes all the time, every once in a while when I was working as a building engineer, and once during an ikea trip!